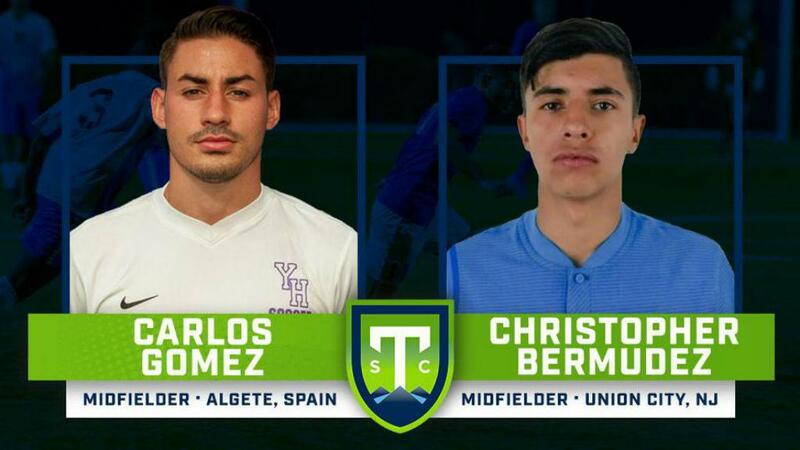 GREENVILLE, S.C. – Greenville Triumph SC added a pair of midfielders to its inaugural roster on Thursday as the club announced the signings of Carlos Gomez and Christopher Bermudez for the 2019 USL League One season, pending league and federation approval. Gomez, originally from Algete, Spain, played collegiately at Young Harris College, where he registered 32 goals and 16 assists over three seasons with the Mountain Lions. During his collegiate career, Gomez earned multiple All-Conference, All-American and All-Academic team selections. Bermudez, a native of Union City, New Jersey, joins the Triumph after a successful trial with the club. He spent three years with the New York Red Bulls Academy, tallying eight goals in 28 career appearances, before most recently playing for Mexican powerhouse Pachuca.